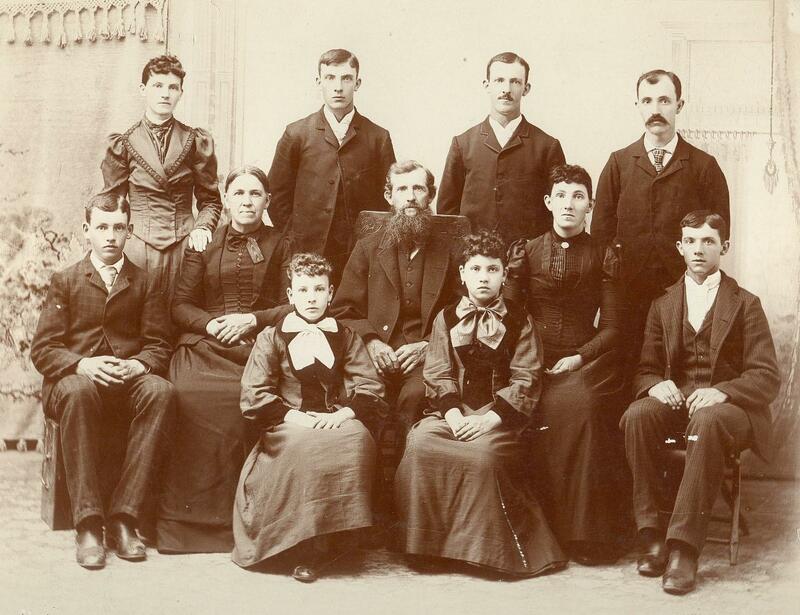 Elias Hoffhines (center) was the son of Samuel Hoffhines and Martha Jane Whitsell. This branch of the Hoffhines family descends from Johann Jost 'Joseph' Hofheintz who came to America in 1766 and settled first in Westmoreland County, Pennsylvania before moving to Pickaway County, Ohio. This photo was generously provided by Eric Hoffhines a descendent of this branch of the family. Thank you, Eric. 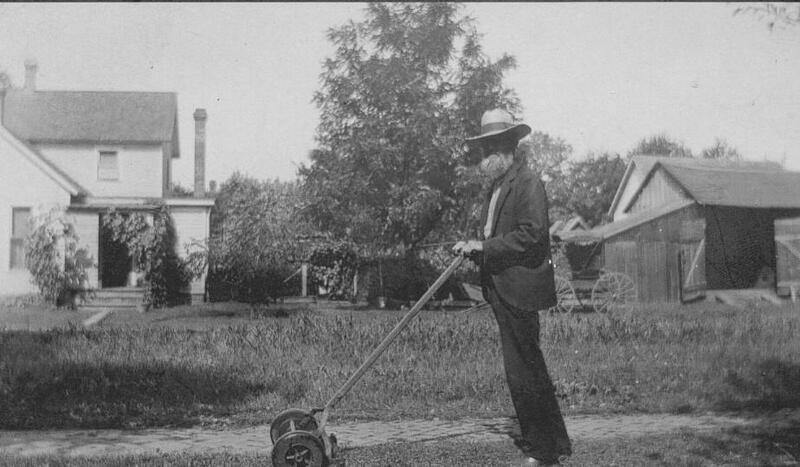 This is another picture of Elias Hoffhines at his home mowing the lawn. This, too, was contributed by Eric Hoffhines. Thanks again, Eric.